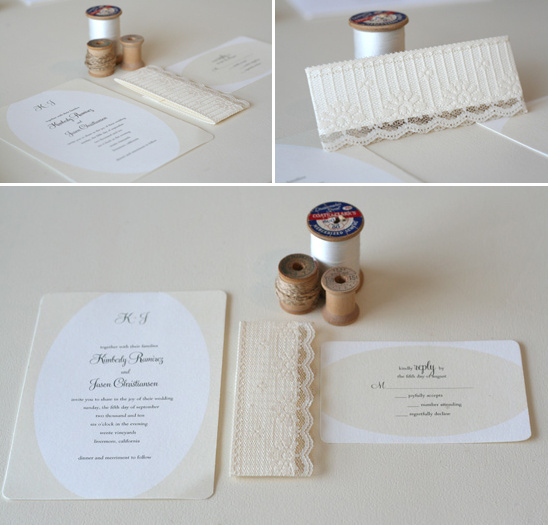 Paper and Thread, one of our favorite Hand Picked Vendors, is giving away a complete custom wedding invitation suite, that consists of 50 digitally printed invitations, response cards, return-address printed envelopes, envelope liners, and custom belly band, wrap, or tie for each invitation. The wedding must take place after August 1, 2011. Additional invitation suites may be purchased at the discounted rate of $5.00 per invitation. 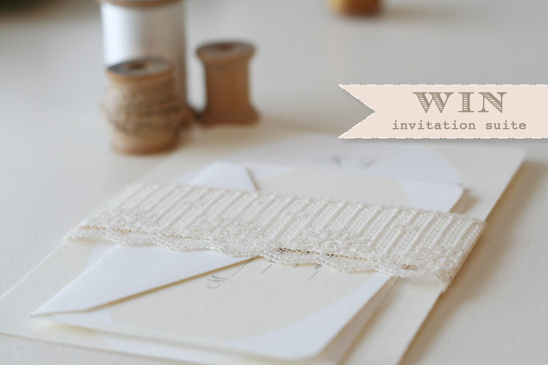 Enter to win by visiting Paper and Thread and telling us your favorite idea for your invitations. Stay tuned for a very special Free Custom Download created by Lori of Paper and Thread later on today.